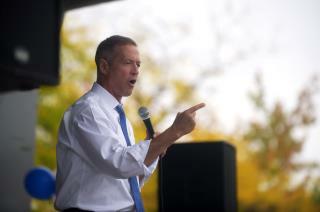 (Newser) – Martin O'Malley, who staged his own "long-shot presidential" campaign, as he calls it, in 2016, reveals his pick for 2020: Beto O'Rourke. In a Des Moines Register column, the former governor of Maryland says he hopes the former Democratic congressman who staged a "courageous run for US Senate in Texas" last year, ultimately losing to incumbent Ted Cruz, runs for the White House. Back in 2016, "America wasn’t in the mood for new leadership. We were in a mood of anger, rage and retribution. And in this mood, Donald Trump’s candidacy rose," O'Malley writes. But now, things have changed: "People are looking for a new leader who can bring us together." We heard this openness lie for Obobo, the corrupt clown. Just words, while President Trump delivers. The lefty freak show is going to be fun to watch. Dont know him very well, but if he is more moderate than the extremes of both parties that would be good.